Why am I here? Is there more to life than this? Does anyone care? 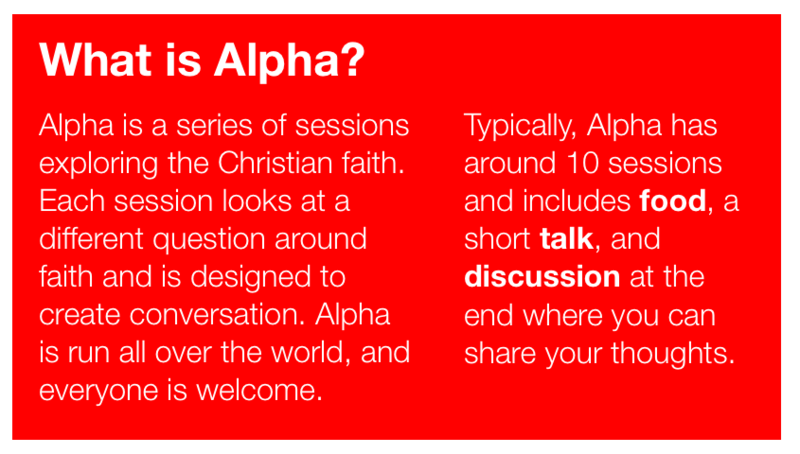 Alpha is a chance for us to ask the questions we have in a judgment-free environment. 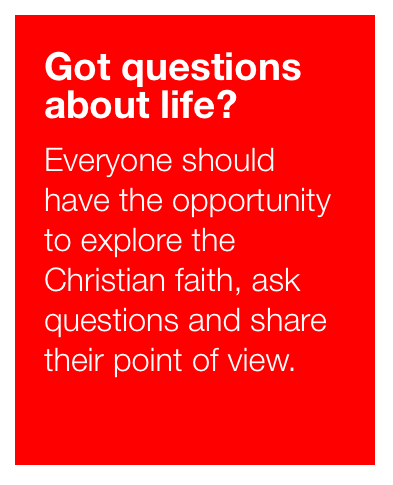 "What I appreciated about the Alpha course was the lack of pressure. I never felt that I was forced to stay or believe in anything what they were saying or explaining throughout the course. In the discussion groups I felt comfortable to ask my questions without being judged." "The beauty of Alpha is the ability to come as you are. Make the sessions you can. It's okay if you miss. Our hope is that you will feel welcome, comfortable and free to ask questions in an environment free of judgement." There’s no pressure to make every Alpha session. Make the ones you can. There’s no need to “catch up” if you miss a night. Alpha is a no cost event. No strings attached. No follow up or marketing. Registration is simply to help us with head count and planning for food… but even if you don’t register, still join us!